At the beginning of their friendship, Newruz (20) couldn’t stay with Claudia and Tobias in Berlin for more than a few days at a time. The Kurdish Syrian from Homs arrived in Germany in July 2015, but was registered and housed in a refugee centre in Meißen in Saxony, Tobias’ hometown. After news of repeated arson attacks on asylum centres, Claudia and Tobias decided they wanted to do something positive. On their next visit to Tobias’s family home, they organised a guided walk for residents of the local refugee centre, to explore the nature areas in and around Meißen. Newruz joined in and they struck up a friendship. 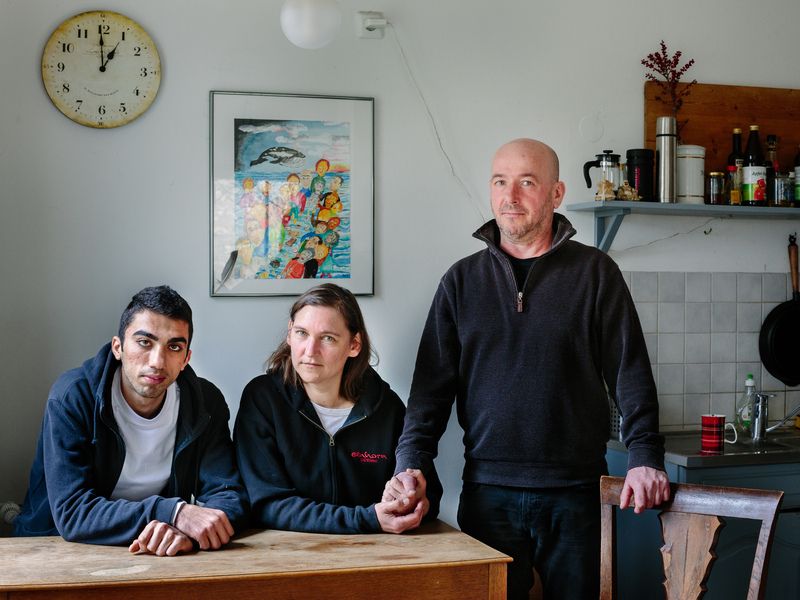 Claudia and Tobias, who both grew up in former East Germany, escaped to West Berlin in the 1980s, Claudia just two years before the Berlin wall came down. “At the end of the day, we are all refugees,” she says with a smile. I wasn’t expecting such a positive reaction. In December, Newruz came to visit them in Berlin and stayed for ten days over Christmas. “So we could get to know each other,” says Claudia. Newruz attends a language and integration course for three hours a day and has just completed an internship with the local Montessori school. The experience has been life changing. Having started his training as an electrician in Syria he now wants to change course and study to become a nursery teacher.